Paris Opera will help Saudi Arabia set up its own first opera and orchestra in a series of deals signed Monday between the two countries as the kingdom’s reformer; Crown Prince Mohamed bin Salman undertakes a two-day visit to France. Under the cultural deals signed Monday, French institutes including La Femme de Film, the National Institute for the Preservation of the Audiovisual Heritage and the Department of Digital Archiving will provide expertise to enhance the kingdom’s movie industry. French culture minister Françoise Nyssen who made the announcements said she also discussed with her Saudi counterpart Awwad Al-Awwad “the importance of translating books in both directions, from Arabic into French and from French into Arabic”. Another landmark deal would allow Saudi Arabia to take part next month in the French prestigious Cannes cinema festival. The Gulf country will be participating for the first time in the festival and will present two nominated films and a special pavilion for the recently formed Saudi Film Council, report say. The pacts slot in the kingdom’s ongoing unprecedented sweeping reforms launched by the 32-year old Crown Prince MbS. First theaters in the ultra-conservative Sunni country will open this month after decades of absolute ban. US AMC Entertainment and Saudi Public Investment Fund agreed to partner on the move. 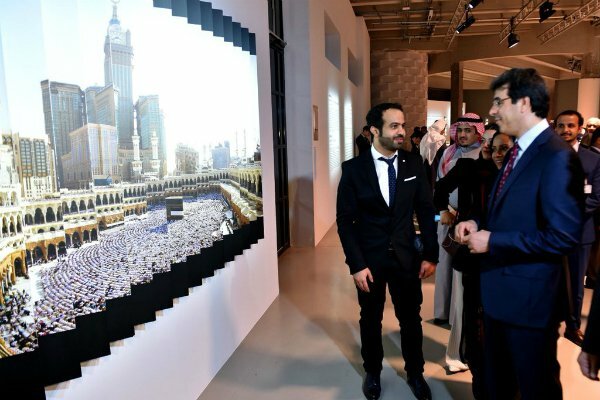 The launch of the first cinemas follows the establishment on Friday of the General Authority for Culture (GCA) with a 13-member board including artists, filmmakers, executives and government officials. The kingdom has also allowed hundreds of public concerts or show performances to take place, with authorities planning to inject $64 billion into the sector. Before the Paris leg of his international tour, the crown Prince visited Egypt, UK, and the USA. During his several-week stay in the US, he met with Hollywood studios bosses in a move to seek US expertise to promote the film industry in his country. Posted by KanelkaTagba on Apr 10 2018. Filed under Gulf News, Headlines. You can follow any responses to this entry through the RSS 2.0. Both comments and pings are currently closed.